So, you’ve just watched an amazing video on YouTube and want to enthuse about it with your bestie, usually it means you have to leave the YouTube app to access a separate messaging app. But hold on, that may not be the case for much longer because the YouTube app will soon offer a built-in messaging capability. According to Wired, users will soon be able to both share videos and chat about them from inside the YouTube app, thanks to a new messaging feature that is slowly rolling out. This native sharing will go live for a small number of YouTube users today, and like ripples on a pond will spread to other users as the original participants invite friends and family to conversations. The chat function will have its own tab, allowing users to flit in and out at will. 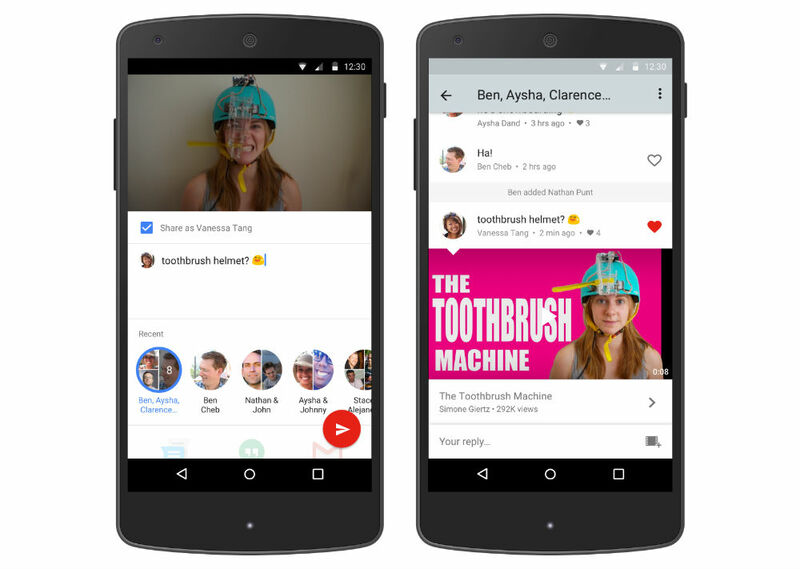 Shimrit Ben-Yair, director of product management at YouTube, says the feature was developed after her team hypothesized that a streamlined native way to share YouTube videos would result in more sharing—which is exactly what YouTube wants. It’s easy to see why the built-in messaging feature is being rolled out. If people don’t have to leave the YouTube app to chat about videos or even to share them, then more videos will be viewed, and the user stays engaged with the YouTube app for longer periods. And with both Facebook and Snapchat entering the video sector aggressively, YouTube wants to shore up its audience against its competitors. The feature may prove useful for live streams or podcasts as it may provide a way for viewers to ask questions in real-time. Then again, it could also be to be a handy tool for trolls. What’s your take on the new feature?